San Francisco, CA (USA) -- Next week, in the midst of the biggest economic meltdown in more than a quarter century, more than 30 psychologists, biologists, philosophers and educators will meet in San Francisco to discuss the history, significance and growing body of scientific knowledge about this felicitous and sometimes misunderstood state. "We can't guarantee the dollars, but we can guarantee a happy mind," said Robina Courtin, organizer of the conference, called Happiness & Its Causes, being held at the Market Street Westin on Nov. 24 and 25, its first venue in North America. "I think every one of us has proven that when something bad happens on the outside, you can have the courage to know that you can handle the rubbish when it comes. You don't have to lose your mind when your hubby leaves you or when the money goes." The conference, benefiting the nonprofit Liberation Prison Project, a group headed by Courtin that offers Buddhist teaching to prisoners, was planned before the latest round of financial crises. But speakers - among them psychologist and consultant Paul Ekman, Harvard historian Anne Harrington, leaders of Google University's School of Personal Growth, Thupten Jinpa, a visiting scholar at Stanford's Project Compassion, positive psychologists and neuroscientists - say the subject has a particular resonance when there is so much gloomy news. "When we are faced with the prospect of not making much money in the future, we come back to what makes us really happy," said Lawrence Rose, publisher of Psychology Today, who will talk about the magazine's online directory, which helps match consumers with therapists. "A more introspective perspective is healthier, and that's going on a lot now." The study of what makes us happy has, in fact, boomed in the past decade. The field of psychology, long focused on what derails the mind, now encompasses a new breed of research into the emotions that contribute to the mental and physical health of individuals, institutions and societies. A new genre of happiness lit crowds bookstore shelves, advising how to get happy, stay happy and share the mood. While other magazines are in the dumps, Psychology Today newsstand sales are up, said Rose, especially when happiness is a cover theme. But the field has its detractors. There are critics who say it's a fad in the same vein as the self-esteem movement. Others say positive psychology relies on self-help claptrap or denies the other half of the mood spectrum - sadness. "I for one am afraid that American culture's overemphasis on happiness at the expense of sadness might be dangerous, a wanton forgetting of an essential part of a full life," writes Eric Wilson, an English professor at Wake Forest University, in an essay adapted from his 2007 book "Against Happiness: In Praise of Melancholy." "I am finally fearful of our society's efforts to expunge melancholia." Positive psychologists counter that they are not calling for perpetual perkiness, but for greater understanding of happiness, which is known to have profound psychological and physical ramifications. They have studied the effects of gratitude, compassion and forgiveness and the extent to which those feelings are innate or can be fostered. While much has been surmised about positive emotions, they say, more can now be scientifically measured through controlled lab experiments and technical advances in imaging that provide a live view of the brain as it functions. The conference will open with a talk by Ekman, a former UCSF psychology professor best known publicly for his work reading emotional cues from facial expressions. 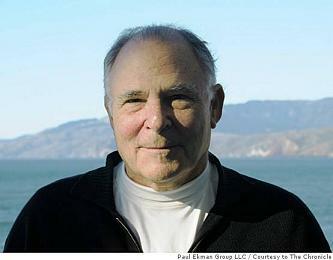 Now a consultant on law enforcement and anti-terrorism, Ekman, whose latest book, "Emotional Awareness," was co-authored with the Dalai Lama, will speak about the definitions of happiness. The term, he says, is broad. Positive psychologists generally define it as having three components - experiencing positive emotions and being engaged in and finding meaning in life. Ekman divides happiness into 16 emotions, including personality traits such as optimism and cheerfulness, the state of mania, moods of euphoria and contentment, sensory pleasures such as visual, gustatory and auditory (his personal favorite) and three states of mind with no English translation - schadenfreude (German for feeling good about the pain of your enemies), nachas (Yiddish for joy at an offspring's accomplishments) and fiero (Italian for what you feel when you've met a challenge). "I believe we can understand life a lot better if we make distinctions, not by just saying, 'I'm not happy,' " he said. "If it was up to me, I'd abolish the term happiness and use these terms so we'd know what we're talking about. You could have organized the meeting so you'd have a panel on each kind of happiness." Dacher Keltner, a psychology professor at UC Berkeley who heads the university's Greater Good Science Center, will talk about evidence that compassion and kindness are traits biologically programmed into humans. "I think we have a deep and rich legacy in Western thought that suggests we are competitive and aggressive and only out for No. 1," said Keltner. "But all the research I do in my lab (shows) that we are designed to care and play and be concerned about the welfare of others." Some of his current experiments focus on activity in the vagus nerve, a branch of the nervous system extending from the brain stem to the abdomen that responds to cooperative behavior. "We have studies showing that when you feel a sense of common humanity, or when you feel compassion, the vagus nerve fires," he said. Researchers also know that positive emotions affect the immune system and heart rate and that, conversely, stress-related illnesses result in lost work time and lowered productivity. So what can businesses do to try to de-stress their employees? Google, which already offers on-site haircuts, free food, commuter buses, a gym and 30 practitioners standing by to deliver low-cost Thai, Swedish or cranial-facial massage, now has something called a School of Personal Growth. Part of Google University, which offers courses in leadership development, workplace essentials and its own life and culture (for so-called Nooglers new to the company, which is rated the nation's top employer by Fortune magazine), the personal growth division has classes in holistic health and well-being, emotional and mental development and "beyond the self." Googlers can take part in a traditional Japanese tea ceremony or enroll in Search Inside Yourself. "We found that Google is such a wonderful place to work," said Monika Broeker, a family therapist hired to head the school last year who is now working for the happiness conference before returning to private practice as a personal growth coach. "They have all these great benefits. Still, there was one missing piece. People are stressed. They work hard and many hours. We looked into the health data and found that people go to the doctor mainly because they are stressed. We wanted to change that. The school will contribute to health, keep people well and stress free. ... People were lining up for (the classes). We couldn't meet the demand." Courtin is hoping that will happen with the happiness conference as well. The first, in Australia, drew 700 attendees, she said. Last year in London, 3,500 signed up. This year 2,500 doctors, nurses, therapists and business people have enrolled. It turns out that though happiness is free, the conference is not. It costs $545 for two days ($100 less for those who registered early). "The registration might be a bit low because of the economy," said Courtin. "We were hoping it would perk up after Obama got in, but the Dow just went down again, didn't it?" Happiness & Its Causes: The conference will be Nov. 24-25 at the Westin Market Street Hotel. Tickets for individual workshops are $135, a two-day pass is $545. For more information, go to www.happinessanditscausessf.com.